CD includes a demo track (complete song, with lead vocal) and performance tracks (without lead vocal). Vocal ranges: H-M-L. Keys: Eb - F# - A. Studio Track: This is a studio produced track recorded 'in the style of' the artist listed. While the instrumental music will be similar, it is not the original recording, and the voice you will hear on the demo is not the original artist. All keys both with and without background vocals. Keys: Eb - F# - A. 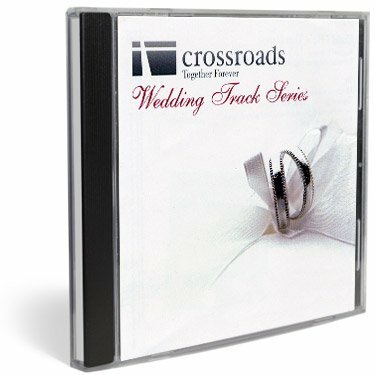 If you have any questions about this product by Crossroads Wedding Tracks, contact us by completing and submitting the form below. If you are looking for a specif part number, please include it with your message.